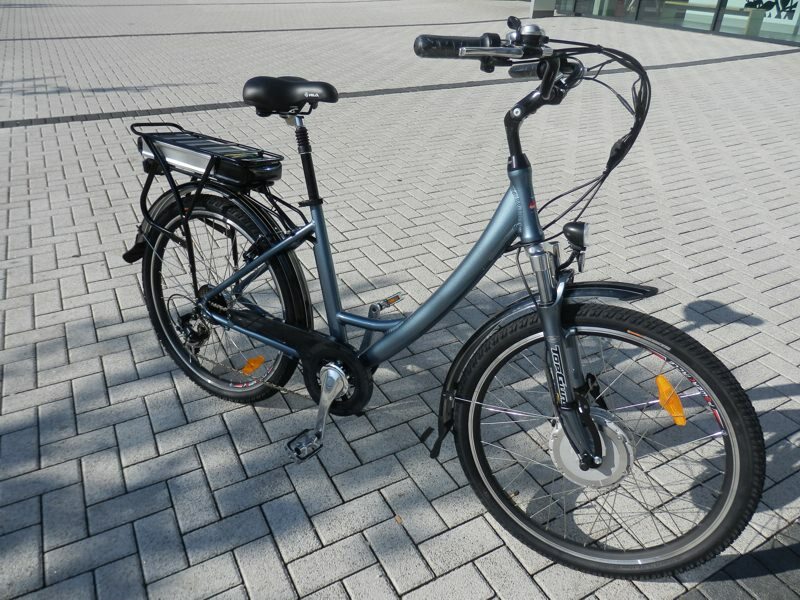 Big front drive, 36V 15A Samsung cell battery, 7-speed, Suntour NCX seat post, comfort steady ride. Hydraulic disc brakes front and rear. For riders 5ft4 and above. The Big Bear LS will suit the definitely not so fit , the truly laid back and the 'stockily built'! Almost a motorbike, with steady, comfy ride and great hill climbing the upgraded Woosh Big Bear LS has a big front drive, super comfy Suntour NCX seat post as an option, 36V 15AH battery, King Meter with 5 levels of assistance, new sine wave controller, adjustable stem, 60mm travel forks. The Big Bear LS has a thumb throttle control and pedal assist. To turn on the electrics, press the middle button on the LCD display. There are 5 level of assistance, 1 provides the least assistance, 5 the highest. Press the up and down button to select the desired level. The 7-speed gear change is by your right thumb. When you start pedalling, the motor will kick in and supply about 80% of the energy. If you don't want to pedal, use the throttle (by simply twisting the right twist grip gently down towards you). The bike will woosh you along nicely. The bike is also very pleasant to pedal with no power. Maximum speed is 15mph and computer controlled. Battery with high peak current, Samsung cells.